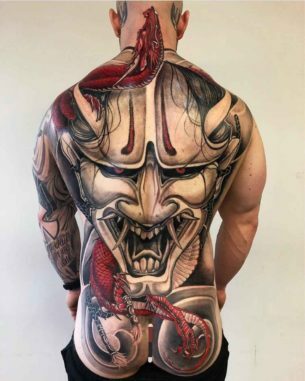 The ancient and unique Japanese culture is famous not only for its philosophic school, theatre, and science achievements, but also for its remarkable tattoo techniques. 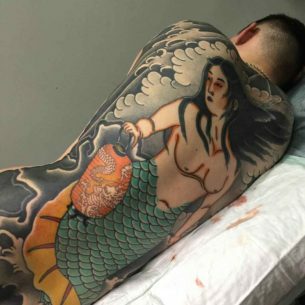 There are a lot of ancient artifacts like statues depicting people having a lot of tattoos on their bodies. 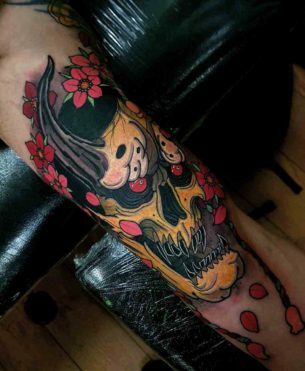 So the Japanese tattoo is fairly considered the oldest style. Nowadays it spreads really fast all over the world, as the Asian culture grows its popularity each day. 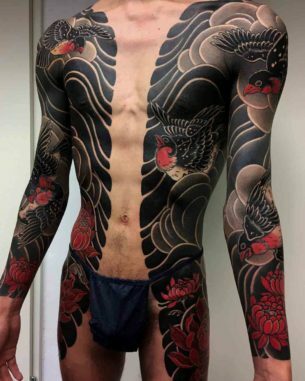 But the real Japanese tattoo can be created only by a real professional. 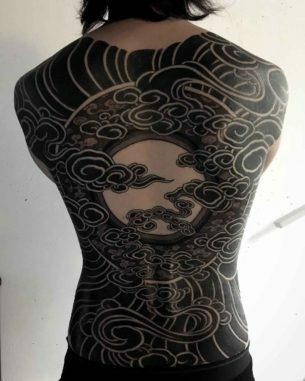 They say, that to master ancient Japanese tattoo art one have to spend years studying this difficult craft. Then work side-by-side with your teacher to get closer in opening all the mysteries it hides within. And only then you can make the Japanese tattoo in the proper way. 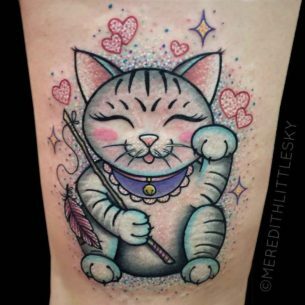 Bamboo sticks with needles are often used in this tattoo style as a due to an old tradition. 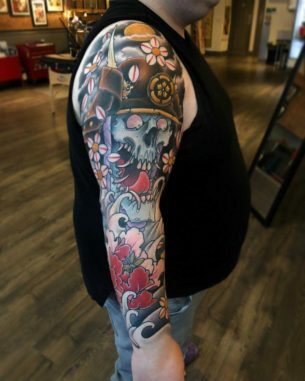 However, it is not forbidden to operate modern tattoo machines if it helps an artist in his craft. 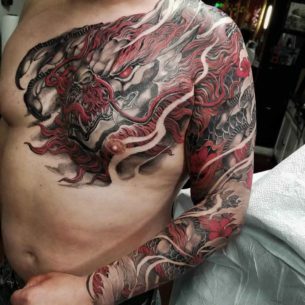 The main plots of Japanese tattoo style are different kinds of dragons, demons, warriors and samurais. Also, a common thing is to draw lotus or sakura flowers and women in national costumes. The style of drawing is similar as on the old Asian paintings. 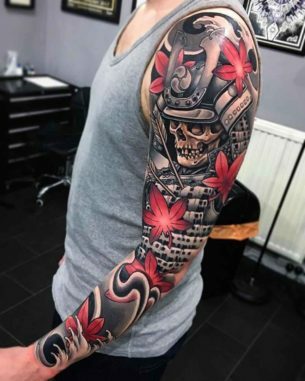 Peculiar and unique for the style is the whole trend called yakuza tattoo. It represents the culture of an old Asian criminal syndicate. Those people were very cruel and lived their life by the rules of their family and gang. 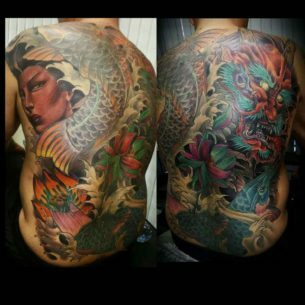 There’s not much known about syndicate representatives, but yakuza tattoos are easily recognized. 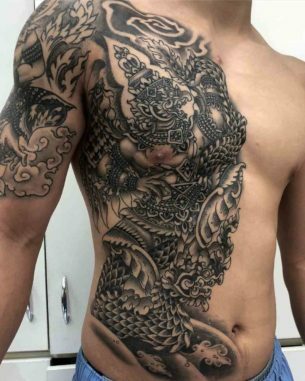 The majority of the yakuza have their back or even the whole body inked. 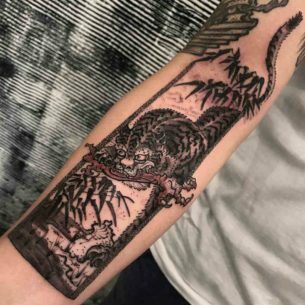 Anyway, all of the Japanese tattoos with no exceptions have a deep philosophical symbolism and are worth seeing.